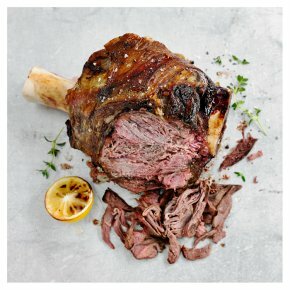 A whole bone in shin of British Aberdeen Angus beef. Perfect for slow cooking and serving as a showstopper dinner party dish. Produced from cattle sired by pedigree Aberdeen Angus bulls. The Aberdeen Angus is a native British breed, whose meat is naturally marbled with fat, making it exceptionally tender and full of flavour. We hang the hindquarters on the bone to mature it, so it becomes even more flavoursome and tender.